Yangon – To encounter Myanmar is something special – its millennium-old history, its countless ancient temples and pagodas, unspoiled nature, beautiful beaches and, last but not least, the warm hospitality of the Burmese people invariably casts a spell on its visitors. Hardly any other Asian country has preserved as much of its cultural authenticity as Myanmar. Yangon, the former capital of Myanmar, is a melting pot of the traditional and the contemporary. True Burmese culture melding with a colonial legacy is still present decades after the departure of the British. The city’s pulse beats to the rhythm of its streets, bustling with what makes the country so special: its people. Not far from the pulsating city centre of Yangon there is located an oasis of tranquility. The Savoy Hotel Yangon offers an impressive blend of the modern and the traditional. 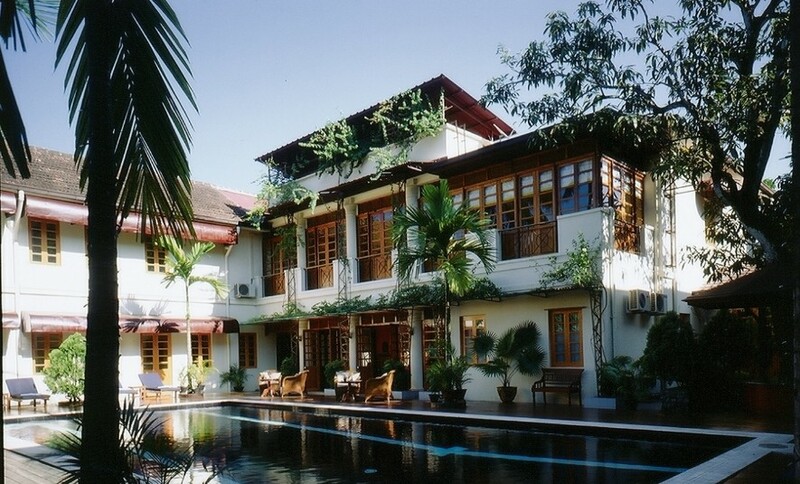 The elegant boutique hotel enchants with a mix of modern design and Burmese antiques. All 24 deluxe rooms and six suites offer stylish interiors, wooden floor and spacious bathrooms. The large pool is surrounded by old trees, guests don’t perceive the hectic activity of the city: A perfect place to stay, a perfect home away from home. Guests dine in the Kipling’s restaurant with view to the Shwedagon Pagoda, Myanmar’s “glittering wonder“. The restaurant offers a fusion of Asian and Western cuisine. The Kipling’s terrace serves dining a la carte with view to the garden and its pool. The Savoy Hotel has a French Chief Cook: The Le Bistrotoffers traditional French bistro dishes made from predominantly local ingredients and offers a great selection of wines to compliment the food. Located right by the pool guests have the possibility to dine inside or out on the pool deck whilst enjoying the tranquility. The Captain’s Bar is famous throughout Yangon not only for its cocktails but also for its weekly live music and live sports events on a wide screen television. It is the perfect place to relax and unwind or exchange impressions of the day with friends and business partners in an informal atmosphere. There are several beautiful beaches in Myanmar, all ideal for relaxation, but Ngapali is surely the most beautiful one. In Ngapali you will find unspoiled white sandy beaches and crystal-clear water for snorkeling, sailing and wind surfing. Relax in the shade of palm trees, wander along the silver sands and watch the fishermen during their daily catch or just let the breeze from the Bay of Bengal clear your mind. 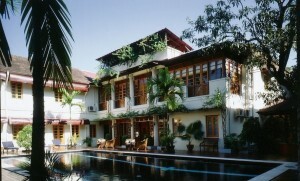 Bayview – the beach resort is a four- star- boutique hotel. The resorts’ 45 deluxe bungalows and rooms including suites are all situated either directly at the beach or in a beautiful exotic garden under countless palm trees. 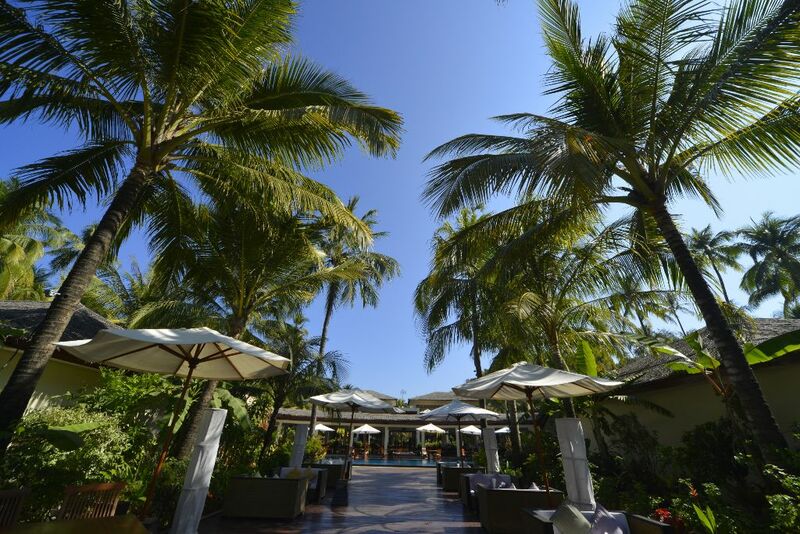 The resort’s sunset bar is a beach bar which invites to enjoy international and Asian specialties from pizza to delicious curry dishes. It is a popular meeting point to enjoy the happy hour not only with an extensive cocktail menu but also with the most wonderful sunsets. The award winning resort offers a wide range of sport activities, a massage and beauty centre as well as guided tours with its hotel bus. A variety of sports are at guests’ disposal, like hobie cat sailing, kayaking, snorkeling or renting bicycles to discover Ngapali. For golfing fans there is nearby a 9-hole golf course. Would you like to catch your own dinner? The resort can arrange a fishing excursion for you! There is also the market in Thandwe to visit, or a lobster farm. – A romantic barbeque on an island can also be arranged. The travel agency Uniteam Tours & Travel organizes individually customised tours, group tours, accommodations, national flights, scenic day-trips, luxury cruises on the Irrawaddy River and sailing cruises through the Mergui Archipelago in the Andaman Sea. Regular inspections and examinations of hotels in all categories, restaurants, airlines, automobiles and boats as well as tour guides are undertaken. Either a single guide to accompany travelers on their entire tour or a different guide at each stop during their journey can be arranged. The guides are primarily fluent in English and German, but other guides are also available for tours in French, Russian, Italian, Spanish and other languages. Optimal preparation and organization and the consideration of each special wish of the guests are all of the utmost importance, as are safety, service and the preservation of Myanmar’s culture.